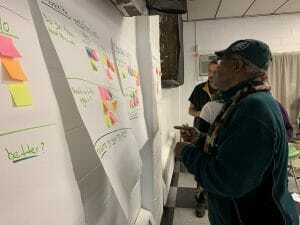 We welcomed 2019 with a productive Tacony Creek Park Keepers first meeting! 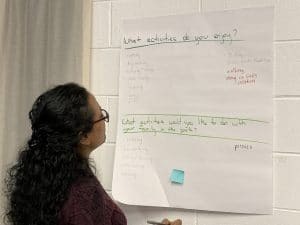 Neighbors and families came together at the Juniata Park Boys and Girls Club to share their ideas and goals for the park. 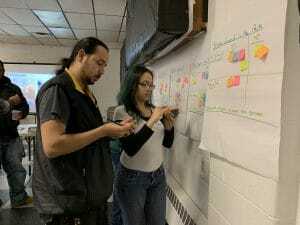 Park neighbors attended the meeting because they want to be part of making Tacony Creek Park beautiful for their community, friends and families. Participants expressed an interest in learning more about the native trees, wildlife and history of the park. They also want to recruit more people, including our elected officials, to help to maintain and improve the park. We also shared how each of us can use social media to promote park programs including cleanups. Thank you to Ruth Seeley and Angela Miles, our guests from The Friends of Vernon Park, for sharing the successes and challenges of growing their group in Germantown. They provided excellent advice and strategies about how to invite new people to the group and get them excited about their park, such as visiting local businesses, dropping-off flyers and printed materials, and sharing the Tacony Creek Park website and Facebook page. Listening to the Friends of Vernon Park’s journey gave us insight and clarity that we are headed in the right direction! Thank you all for joining us. We look forward to working together and organizing another round of fitness walks, nature walks, outdoor movie nights and concerts! Click here for pictures! Visit here for updates. We need you!